A Spring Reception was held in London on Friday 22nd April 2016, at the Malawi High Commission. Jamie Proctor, Chairman of the Trustees of The Mlambe Project together with some staff and project volunteers gave a most interesting illustrated talk on some new and innovative building construction methods in Malawi. Their presentation can be found here. A Summer Garden Party was held in Dorchester-on-Thames on Saturday 16th July 2016. 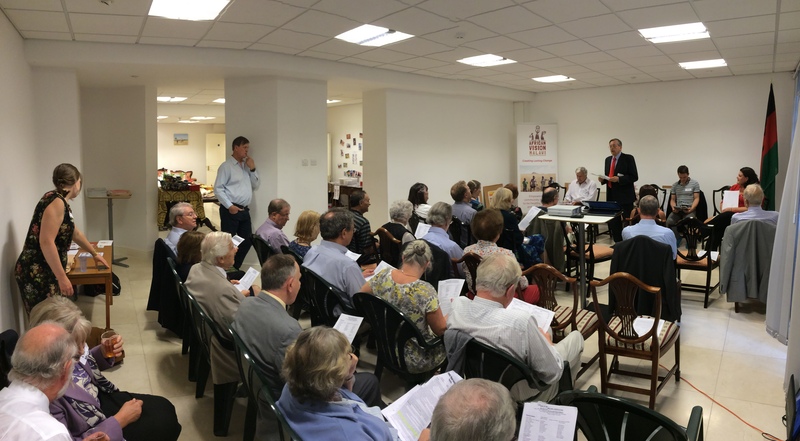 The AGM and a social evening with a talk was held on Friday 9th September 2016. Two short illustrated talks was given by Aid Africa and African Vision Malawi (also known as The Landirani Trust within Malawi) on their work in Malawi. Both charities have been recent recipients of FOMA grants, supporting their welfare projects in Malawi.